Since the introduction of Unity to be as Ubuntu's default interface in version 11.04, Ubuntu is slower to work with on my HP mini 210 netbook comparing with old time GNOME 2 desktop user interface. After using all three versions from 11.04 Natty Narwhal, 11.10 Oneiric Ocelot and 12.04 Precise Pangolin, I think I'm patient enough to decide to use another Linux distro. According to Distrowatch, Linux Mint is the most popular hits in their site since 2011 overtaken Ubuntu. 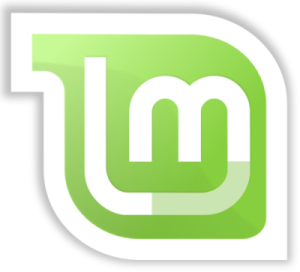 Linux Mint Debian is available with MATE/Cinnamon and Xfce desktop environments. I don't recommend MATE or Cinnamon if you want to install on slow computer because it was slow on my netbook. Xfce just like the GNOME 2 panel, is prefect and much lightweight to run for slower machines. I will guide you through the LMDE 201204 Xfce installation and some fixes for hardware supports. I won't bore you with trivial details, just the important stuff and most of the fixes are broadly applicable, although it is based on HP mini 210. Download Linux Mint Debian 201204 Xfce iso. Create a bootable USB flash drive with UNetbootin by following the instructions here. Boot Mint. Plug your ethernet if you get missing wireless driver and proceed to installation. For BCM4312 with Low-Power, open Software Manager and install firmware-b43-lpphy-installer package. Restart the computer and the "tap to click" will works. As you're aware, the display brightness will reset to the lowest level on every Mint startup. It can be fixed by the same way how I fix on Ubuntu 12.04 on this page. Install Cheese to use the webcam. Install ibus and particular ibus language input method. Install compiz, plugins, extra plugins, and compizconfig settings manager via Software Manager.